Oleksandr Usyk created his own piece of history last July when he captured all four of the leading organisations World titles and became only the second Undisputed cruiserweight champion in the division’s history. But 30 years previously, the first unified champion was crowned, when a man considered not only the greatest cruiserweight in history but also one of the greatest heavyweights ever to enter the squared circle, Evander “Real Deal” Holyfield, claimed the crown and cemented his place as the division’s premier force. Here we take a look back at that historic moment from 31 years ago. Holyfield’s meteoric rise to the top had been no surprise. A bronze medallist at the 1984 Olympics, he had turned professional at light-heavyweight before his body grew naturally in to the 13 stone 8 lb division (the original limit). In just his twelfth fight he had challenged the battle hardened Dwight Muhammad Qawi for the WBA title. Qawi had previously reigned as WBC light-heavyweight champion and despite conceding 7 1/2 inches in height (5ft 7 ins to Holyfield’s 6ft 2 1/2 ins) and 6 1/2 ins in reach (Holyfield’s 77 1/2 ins) the barrel chested spark plug was recognised as one of the toughest fighters in boxing. Their fight is still regarded as the greatest fight in the division’s history, a fifteen round brutal war in which Holyfield dug deeper than he could have ever imagined to earn a split decision and his first World championship. Just two fights later he hammered Ricky Parkey in three rounds to add the IBF belt to his collection. After two defences, and with his body struggling to keep making cruiser, he targeted the final piece of the puzzle: WBC champion Carlos “Sugar” De Leon. Puerto Rico’s De Leon was in his third reign as champion, having first won the title back in 1980 against Marvin Camel. He was shocked in two rounds by the heavy handed S.T. Gordon before regaining the title on points. Alfonzo Ratcliffe took a split decision over him before he outpointed Bernard Benton to become a three-time champion. He had made a combined ten defences over his three reigns with his record standing at 44-4, 29 KO’s. The battle for the Undisputed title took place at Caesars Palace, Las Vegas on 9 April 1988. Holyfield entered with a 17-0, 14 KO’s record and was a heavy favourite to emerge victorious. Wearing the classic white with black trim trunks, Holyfield met De Leon, wearing plain red, in ring centre. De Leon started fast, taking the fight to Holyfield, before reverting to using the ring to draw Holyfield on to his counters. Holyfield calmly pursued the Puerto Rican, as he started to figure out his opponents awkward style. It would prove to be De Leon’s only successful round. Round two saw Holyfield rapidly close the distance, driving De Leon to the ropes and working the veteran up and down with hooks and uppercuts to both head and body as he sought to bring matters to an early conclusion. De Leon bravely tried to punch back but it was clear for all to see that Holyfield possessed the greater fire power. Round three followed a similar pattern but Holyfield started to work more in patches, respecting De Leon’s toughness but also acknowledging that his own battles with the scales could see him punch himself out. Rounds four was more of the same as De Leon absorbed a steady beating. But the start of the fifth saw him try to start using his legs again, moving away from the ropes. The action cooled as Holyfield appeared to conserve energy, although still caught De Leon with some heavy shots. Round six followed suit with Holyfield firmly in control, superior in every department to De Leon. The seventh became the penultimate round as Holyfield slotted home some heavy right hands throughout the final minute as De Leon started to show the signs of distress. Slumping down on his stool it was clearly apparent that the end was nigh. Holyfield came out for the eighth invigorated. Backing De Leon against the ropes he unleashed a succession of left hooks, whipping several to De Leon’s exposed ribcage. A powerful one-two rocked De Leon back on his heels, opening a cut around his left eye. Holyfield was in the groove now, allowing himself space to unload with his heavy artillery, and ripping in uppercuts as De Leon wavered like a sail in a storm. Right hands blasted in to his now non-existent defence as referee Mills Lane dived in after just 65 seconds of the round. Holyfield was now the Undisputed cruiserweight champion of the world. The aftermath saw Holyfield relinquish the titles and carve his own niche among heavyweight royalty by becoming the only fighter to capture the heavyweight crown on four occasions, before cementing his place in boxing’s Hall of Fame. Remarkably, De Leon created his own bit of history by regaining the WBC title for the fourth time, the only fighter in the division’s history to have achieved this. Whilst the fight was far from a classic, it did confirm the talent of Holyfield and how far above the others he was. That wasn’t to say that the others were not talented, as De Leon clearly had pedigree and had added some decent scalps to his own record. Holyfield used this success to launch his greatness and also draw attention to a division that had generally been ignored by so many. 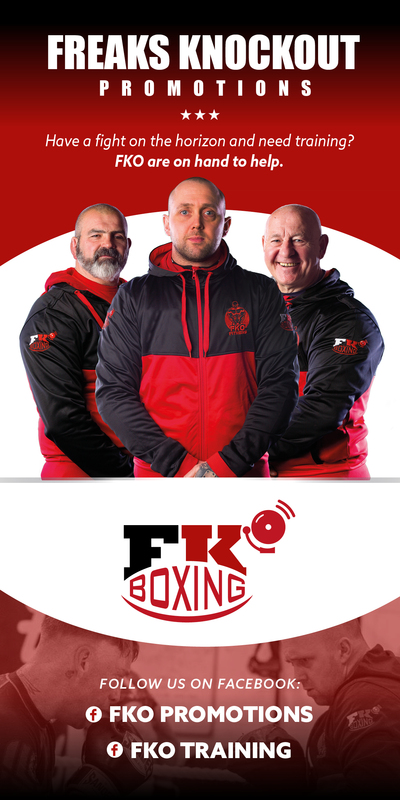 These days the division is recognised and appreciated for the talent and skill of the fighters that box within it and those whom have previously held titles over the years. But it was the emergence of the man from Atlanta, Georgia that firmly gave the cruiserweights the credibility that they have enjoyed from that day back in 1988.